The discovery place were Gemstone of NAGA EYE BUDDHA AMULET often found in the caves in the deep forest such as cave in the northeast sector of Khon Kaen province or cave in Phu Phan mountains at Sakon Nakhon Province believed was a place of mystery as the serpent and city bowels of the holy cave. The features of diamond serpent that resembles a pebble with in the vitreous, a flat surface, round spell shape have high strength difficult to cut. There are several small multicolored, each color will have features for possession of difference believed that "Diamond Serpent" is the holy relics which are the thousands or thousands of years and had protected by serpent or hermit and also had calling name many names; Diamond Serpent, Diamond Nagar, Srinagar Glass Gem, Nagar Gem, etc. In Thailand some people to have faith in this Naga stone can bring lucky for owner. It is the best items for amulet collecter. 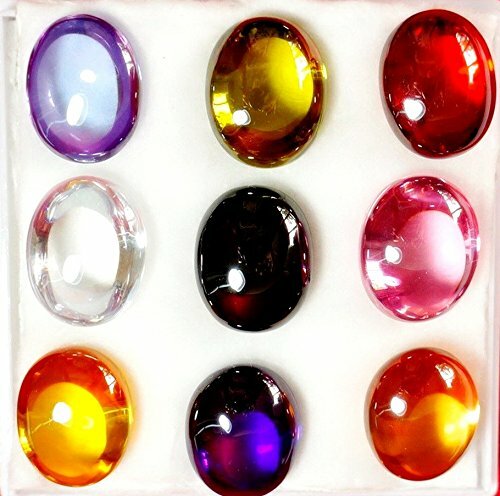 Because you will having good health and have a mystical powers, the gem stone is believed to banish fear or evil, depression, reduce fever and is believed to be excellent for eyes or vision. If you have any questions about this product by Gems Nok Phra Gow 9, contact us by completing and submitting the form below. If you are looking for a specif part number, please include it with your message.